Da da da da! That doesn’t translate into print very well, does it? It’s supposed to be the sound of something great happening, like when a superhero arrives on the scene. In this case however, it is meant to usher in (with great magnificence) the Final Round of this month-long Battle of the Landscapes! Da da da da! We now give to you, the reader, the most revered and enviable of tasks. That being, to pick a winner, and crown either Woods or Mountains as The Greatest Landscape. Vote by leaving a comment. On Saturday I shall announce the winner, to the thunderous applause and celebration of all … the, uh, people that … those who read … uh, well, you guys. It’ll still be exciting, and whoever picks the winning landscape will win a free trip to middle of next week. Good luck! I'm gonna go for the underdog and say woods. Something romantic and creepy about the woods. being from a place where the two are not mutually exclusive, I vote for Tennessee. if that doesn't count, woods. Does that count as three votes? 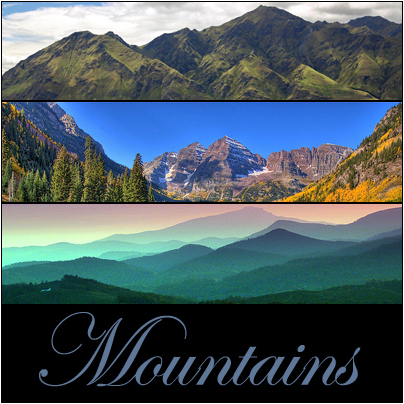 I really identify with mountains. People have been telling me I'm only a foothill for years. That said I'm voting for woods. Random Blair witches insisted on the point. Mountains can improve woods by allowing woods to grow on them, but woods don't improve mountains, as the bare ice capped ones are the prettiest. My vote is for mountains. My 3 year old votes for .... cake.... what? That wasn't an option? 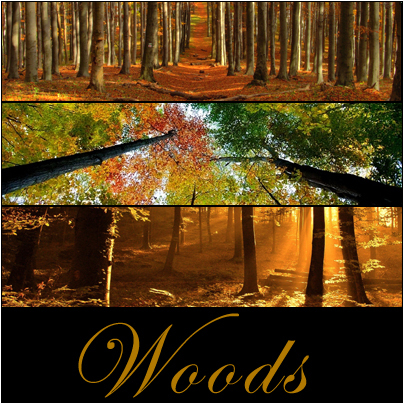 Oh well, okay.... How about woods. Mountains. Mountains. Mountains!!! Can you count that as three votes? Great post. My pick is mountains to look at, woods to be in. I'm wondering if tectonic plates are microwavable..? I vote for mountains to test that one out.